Looking for something new to drive those cans? For those who haven’t caught on cans = headphones and for those seriously into their cans, just an iPod will never do. So the announcement of a new headphone / pre-amp from 47 Labs, may be something that tickles your fancy. 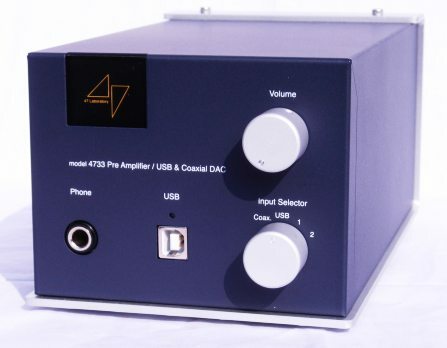 The Model 4733 Midnight Blue is possibly one of the more flexible headphone / pre-amplifiers out there. It incorporates a headphone amp with a pre-amp and an onboard USB/DAC. It also has a 2 watt into 8ohms output, which will allow it to even drive sensitive speakers, without adding on a power amplifier. The 4733, along with a USB input has coaxial and 2 x RCA inputs. Simplicity in circuit design is it’s promise for quality sound.